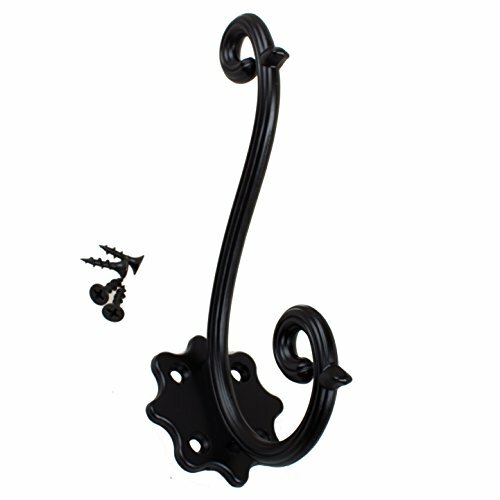 Upgrade your bathroom or bedroom closets with these matte black decorative scroll double coat hooks from GlideRite Hardware. These hooks will be most useful when you install them in places where you need to hang your hat, coat or towels. The solid construction and sophisticated design adds nice aesthetics to your home décor. Each hook is packaged individually to prevent damage to the finish and comes with necessary hardware for easy installation.